The staff over at Lakers Nation has put together a ranking of the top 20 Los Angeles Lakers of all time, as we gear up for the beginning of the 2017-18 season. While we anxiously wait the arrival of the new era of Lakers basketball, our staff has also debated towards ranking these Lakers and all their accomplishments. The list recognizes the accolades, statistics, and awards these Lakers were able to achieve during their tenure in Los Angeles. Although there were some difficult names left off the list, we were able to conclude on a top 20 and now are in the top 10. This list solely ranks these players, coaches and front office members based on their tenure with the Lakers, putting into perspective the impact on the franchise. 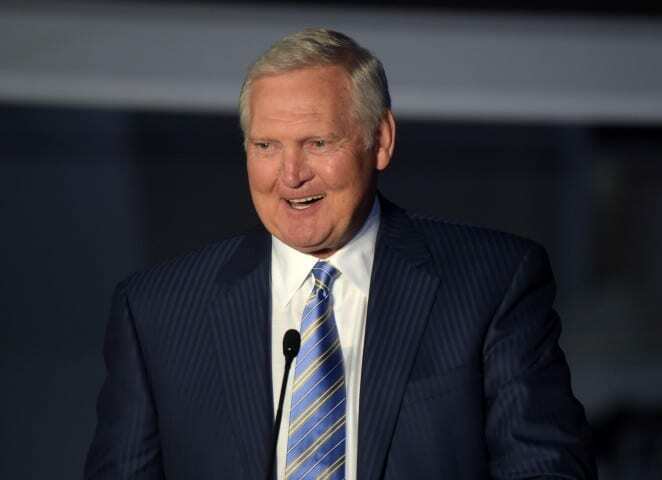 Jerry West is a name that resides strongly with all historians of the game, as ‘The Logo’ turned into a national icon. The point guard and franchise leader of the Lakers took the floor each and every night and put on a spectacle for the fans watching. His elusive ball-handling set the stage for his ability to score, with a jump shot and also never afraid to attack the basket. While many may recognize West for his losing NBA Finals record, the fact that he carried a franchise to all those NBA Finals appearances is something special. West would capture his only championship during the 1971-72 season when he and Wilt Chamberlain formed one of the most dominant 1-2 punches in franchise and NBA history. ‘Mr. Clutch’ earned his nickname many times over during his NBA career, although even he may not agree so. He was a reliable last shot, never afraid of the moment and always making the best decision for his team. However, many people also forget that he was a five-time All-Defensive selection, averaging over two steals per game and gliding across the court. The NBA recognized his greatness in 1969 when they officially changed the NBA logo to recognize him dribbling across the court. Another interesting tidbit is that West made the All-Star Game in all 14 seasons he was in the NBA, truly signifying the important and deadly grip he had on the NBA in turns of popularity. West was an empire when it came to the game of basketball, with many moves in his arsenal that had yet to be down on a consistent level by his peers. Many players attempted to emulate his grace and dominance on the court following his playing days, as he carried the NBA alongside some other Hall-of-Fame players. Once his playing days came to an end, West accepted the next challenge like the competitor that he is. He quickly moved on to the front office of the NBA, became integral figures in many front office regimes that turned into championship cultures. 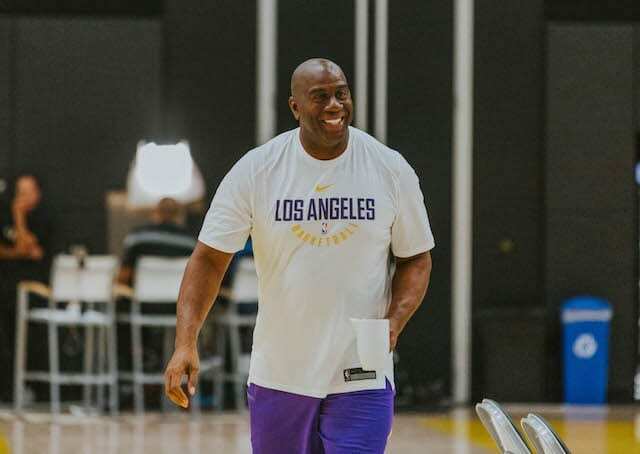 West was the main force behind the draft day trade for Kobe Bryant, while also luring in free agent superstar Shaquille O’Neal to come to Los Angeles to form a team that won three straight NBA Championships. West was a phenomenal player, one of the best to ever wear the purple and gold, but his contributions to the Lakers organization goes way beyond that which is why he comes in at No. 5 on our list of all-time greats Lakers.